Despite an improving economy, eager and talented new college graduates are still encountering significant difficulty in securing jobs. The fallout has landed squarely on colleges. Parents are demanding higher returns for the significant investment in their children’s education, and the government is backing them by increasing its efforts to collect and publish postgraduation employment and income data. These demands are not without merit. As a university president, father of a college student, and former higher-education consultant, I value accountability. However, we won’t be able to create more-tangible returns on investment for our graduates unless the rapidly expanding chasm between what higher-education institutions produce and what employers want is closed. Access to a college education is no longer enough. The world has changed so significantly that colleges and universities must complement a traditional education with real experience, including authentic connections to the workplace. Two key changes are required. First, colleges must move beyond internships and develop models that better allow students to apply the classroom knowledge they’ve acquired in a real-world setting. Second, employers must understand that if they feel the business environment has become too competitive for them to provide training and apprenticeship programs, then expectations of graduates’ being work-force-ready are unrealistic. Unless, that is, they commit to work with colleges in creating innovative programs that will help graduates hit the workplace floor running. As we consider new approaches, we should focus not just on what graduates know but also on how they can immediately use their newfound knowledge and skills. While companies are looking for critical thinkers, what they really want are motivated employees who can apply that thinking to make decisions and solve problems creatively. Such “practical knowledge” is about knowing how to listen, disagree, assert an opinion, interrupt, and change people’s minds, all in the course of a workday. Employers say they value that even more than technical knowledge, yet it can be learned only by working full time in a modern work environment. How do we prepare students to create and add value immediately? How do we connect employers with the education process and educators to the workplace to better align classroom learning with marketplace needs? Many people argue for the expansion of internships, but that’s an outdated answer. Internships are too short and not in-depth enough—usually more job-shadowing than job-doing. They are also frequently unpaid, often benefiting only those students who can forgo a paycheck. In fact, the Black Swan internship case, in which a federal judge ruled that unpaid interns on the set of the 2010 movie starring Natalie Portman were entitled to at least minimum wage, has shown that their very legality may be called into question. A better option is to require students to participate in real-life job experiences—often referred to as co-operative work experience—before graduation. This model involves paid, full-time employment, for up to six months at a time, that employers offer to students in a formal arrangement with a college. Co-op jobs provide students with opportunities to apply their knowledge and acquire the practical know-how that employers value. They also inject a healthy dose of reality. Indeed, with salaries that average up to $16,000 in certain fields, the work and the expectations are very real. Co-ops also allow students to identify skills they lack, areas that need improvement, and even whether the career path is right for them. Maybe most important, if a student can demonstrate an ability to add value, it’s highly likely that the co-op employer will offer a full-time position upon graduation. At Drexel University, more than 50 percent of students are offered jobs by their co-op employers before graduation, and in 2013 more than 40 percent accepted those positions. Additionally, salaries of students who had co-op experience were significantly higher than those who did not. According to recent research from the World Association for Cooperative Education, for those who had co-op experience in college, hourly earnings were almost 9 percent higher 10 years after graduation. For employers, this approach provides great benefit for vetting and training future employees, as well as helping students understand and apply the right skills. Just as crucial, employer input helps colleges recalibrate their curricula so academics and workplace skills are better aligned. For example, my university recently moved a biomedical-engineering class from the junior to the freshman year on the basis of feedback from co-op employers that students needed that knowledge sooner. The co-op model is neither easy nor cheap. The investment to develop and manage employer relations and to track results is significant, and having to offer classes more frequently because students spend six months at a time off campus also increases costs. Co-op programs, however, can be built and expanded over time. Co-operative work experience is a proven model that bridges the gap between a college education and the needs of employers, and presents an opportunity for institutions to better meet the demands of today’s workplace. To survive and thrive, colleges and universities must produce a new return on investment by graduating work-ready, savvy young adults with full résumés and skills that employers value. Whether we like it or not, the world of higher education is now largely responsible for preparing America’s work force. 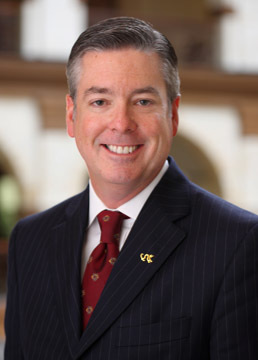 John A. Fry is president of Drexel University. He authored this opinion piece that was published in The Chronicle of Higher Education on Jan. 20 and is available at this link.